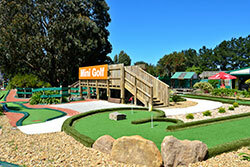 A Maze 'n Games offers a large, 24 hole mini golf course for you to put your putting skills to the test. 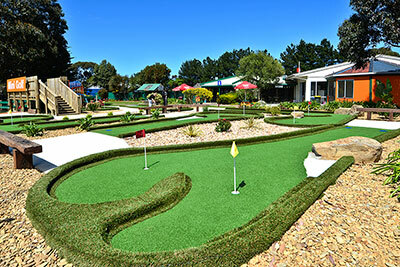 We offer an adventurous recently renovated 24-hole mini golf course, surrounded by trees and greenery that gives you the opportunity to experience the atmosphere of rural living. 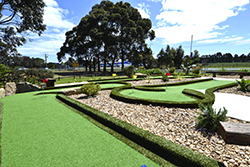 The course provides 2 levels of difficulty over 24 holes requiring various skill levels that all the family can enjoy playing. 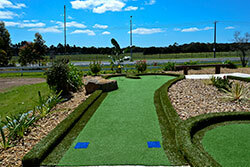 You could spend a few hours or the whole day getting together with friends and family having fun while testing your putting skills. 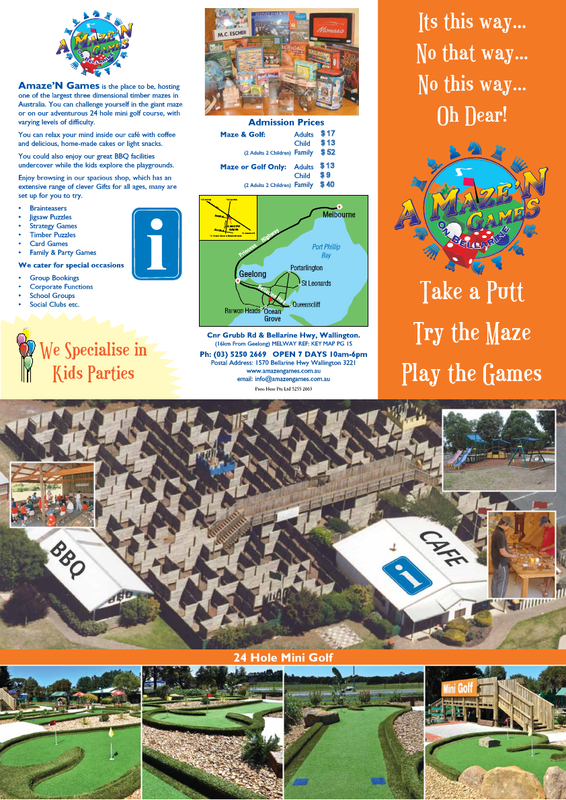 If you are thinking of having a round of golf, why not take some more time and tackle the giant Maze while you are here. If you want to make a day of it, bring your own lunch and take advantage of the large covered BBQ facilties.